Massively open on-line courses are learning platforms delivering high-quality content to hundreds or thousands of simultaneous users. This IEEE conference provides academic and industry professionals the opportunity to discuss research into MOOC technologies as well as the practical aspects of creating and offering MOOCs to diverse worldwide audiences. Now in its sixth year, LWMOOCs is a respected international forum to collaborate, share, network, learn, and display the latest advances in MOOCs. Milwaukee is a vibrant metropolitan area on the western shore of Lake Michigan in the United States. Its metropolitan area is the home of 2 million people and major companies such as Harley Davidson, Rockwell Automation, Johnson Controls, Miller Brewing, Joy Global, and Northwestern Mutual. Milwaukee is a city of many cultures and is known for more than 50 major festivals and public gatherings held throughout the year. In addition, with major and minor league sports teams, miles of stunning parks along the Lake Michigan shoreline, four distinct seasons, museums with international reputations, and a full-range of performing arts groups including opera, symphony, ballet, and theatre there is always something to do in Milwaukee! The conference will take place on the campus of the Milwaukee School of Engineering. Milwaukee School of Engineering is the university of choice for those seeking an inclusive community of experiential learners driven to solve the complex challenges of today and tomorrow. The independent, non-profit university has about 2,800 students and was founded in 1903. MSOE offers bachelor’s and master’s degrees in engineering, business and nursing. Faculty are student-focused experts who bring real-world experience into the classroom. This approach to learning makes students ready now as well as prepared for the future. Longstanding partnerships with business and industry leaders enable students to learn alongside professional mentors and challenge them to go beyond what’s possible. MSOE graduates are leaders of character, responsible professionals, passionate learners and value creators. Registration will be open in time and is being done through the ConfTool® Submission Server. If you don't have an account, please create one first. All registrations include the conference opening reception, a banquet dinner on the second night of the conference, as well as daily breakfast, refreshment breaks, and lunch. 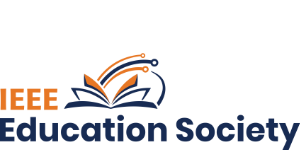 All authors and student authors must register by August 1, 2019 to be included in the conference program. The author registration fee is higher because it includes the AV fees for one paper presentation as well as the final proofing of papers, presentations, and other media for submission and archiving at IEEE Xplore™. Only one submission and presentation per author is allowed. 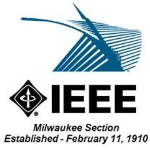 IEEE Members will be required to provide their IEEE member number during registration in order to receive IEEE member pricing. Student registrants will also be required to provide a letter from the student’s current university verifying enrollment. Registrants from low-income countries will be required to provide proof of current residency. For the list of qualifying low-income countries see: http://data.worldbank.org/income-level/low-income.